More information: https://www.israeliamerican.org/conference | Questions? Email: myifrach@israeliamerican.org or hilit@israeliamerican.org. As we celebrate Rosh Hashanah with our friends and family, we rejoice in the sound of the shofar and recommit ourselves to our community and to each other. We reflect on the past year and share our hopes and dreams for the year ahead. Warmest wishes for a joyous and meaningful holiday. May 5779 be a year of blessings and peace, and may you and those you love be written and sealed in the Book of Life. Join Mishkan Miami in a spiritual care volunteer program and discover a remarkable and life-changing opportunity to bring comfort, solace and joy to people in need. Refuat Ha-Nefesh Spiritual Care Program is a life-changing opportunity. For more information on how to become a volunteer click here or the link below. Yehudi Fellowships is Back for Another Season! 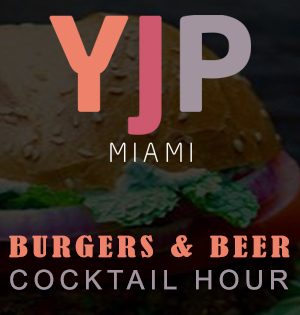 Join Former and Future Yehudi Fellows for a night of Socializing, Cocktails and Sushi. 'Yehudi Fellows' is an Exclusive Community of Like-Minded, Quality Young Jewish Professionals from South Florida. Learn How You Can Join Our Community to Learn & Journey With Us to Morocco/Spain, Poland & Israel.